for your very special mom! 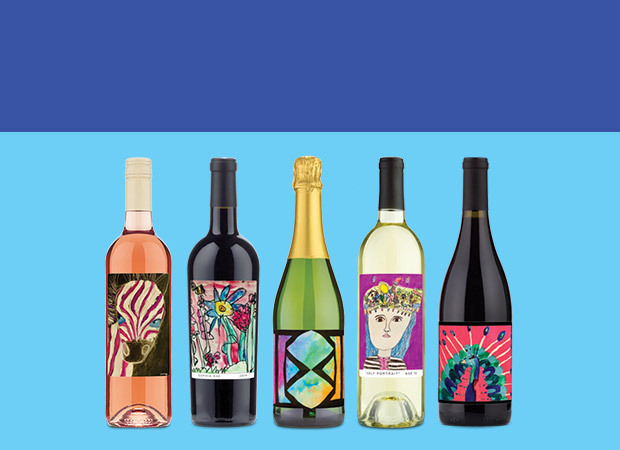 All you need to do is select your favorite wine and create a label using one of the many customizable templates or upload your own wine label design. For the perfect wine lover's gift add custom engraved wine accessories. Share your unique personalized wine gift and make every moment extra special! If you need some help selecting a personalized wine gift, please contact us! Give Mom A Tasty Wine Gift this Mother's Day! We only source the highest quality wines from around the globe. From mini mini wine bottles to large format sizes, and a range of price points, we will work with you to create a memorable gift that fits within your budget and aesthetic. Create your custom wine gift with a personalized bottle label or engraving. Our state-of-the-art etching and print machinery help us create a beautiful gift for any occasion. Our accessories are the perfect companion to custom wine and champagne gifts but are also superb enough to stand on their own. Our wood wine boxes add an additional wow factor to any gift, and are specially hand-crafted just for us from a local woodworker in Spicewood, TX. Made of pine, the boxes are sturdy, durable, and light in color to showcase your engraving and ensures a truly memorable gift. The perfect gift is equal parts thoughtful, unique and desirable—custom wine is all three. We understand the significance behind gifting and are obsessive when it comes to the quality of our products and the level of our service. Whether you are wanting to say I love you to a significant other, wish a best friend a happy birthday, show your appreciation to a top client, or buy a special wine and create custom wine labels for weddings, the thought and elegance of a personalized wine bottle is sure to be well received. Give a unique personalized gift that is as elegant as it is delicious. Order as little as one bottle with no setup fees and quick shipping. Hassle-free corporate gifts that your clients and employees will love. Bulk pricing and a dedicated representative will make ordering a breeze.